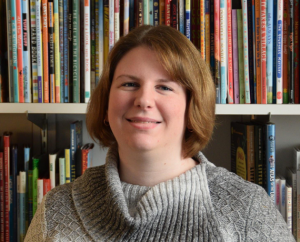 Catherine Laudone is an Assistant Editor at Simon & Schuster Books for Young Readers. Since joining BFYR in 2013, Catherine has had the pleasure of working with a number of talented and New York Times bestselling authors, such as Tommy Wallach, Michelle Hodkin, Heather W. Petty, the Fan Brothers, Jessie Sima, A.L. Sonnichsen, Susan Hood, and Stacey Kade, among others. Catherine has some fabulous debuts on her list as well, including Kat Helgeson’s Say No to the Bro (a Junior Library Guild Selection and 2018 Illinois Reads Pick), Lauren Spieller’s Your Destination is on the Left, Janice Lynn Mather’s Learning to Breathe, and Hanna Cha’s Tiny Feet Between the Mountains (Fall 2019).